I am trying out NT8 today. Some tools I like in NT7 I can't get in NT8 yet, plus I don't like the color scheme much and neither do I like the TINY font Ninja uses for EVERYTHING in this version....but I do like the tab feature which I'm not using yet and I like how NT8 seems to be a lighter footprint on my CPU....However, the overall feature set doesn't really seem to be enough to demand making the shift over yet. Configuring NT8 is a pain at least at the moment both due to the steps as well as the small font size. It did perform perfectly today though. Gonna give it another shot tomorrow and see. One and done today. 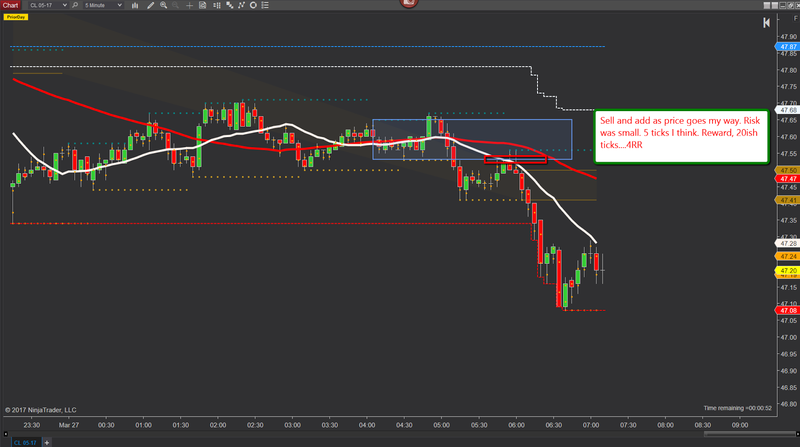 I left a bit of money on the table but as before, I didn't really have a trade premise below the LOD.